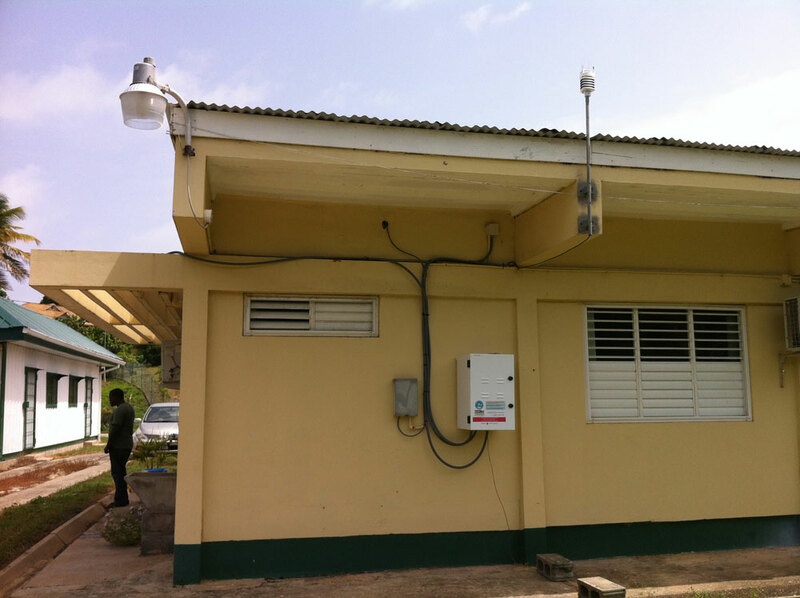 The Continuously Operating Caribbean GPS Observational Network (COCONet) was recently expanded with the installation of a new GPS station on the island of Trinidad. This island is the lowest latitude landform of the West Indian island arc chain, and the new station now marks the most south easterly boundary of COCONet. However, two additional existing GPS sites on Trinidad, operated by the University of the West Indies (UWI), are slated for incorporation into the COCONet data flow this fall and will push the boundary of the network even farther to the south. 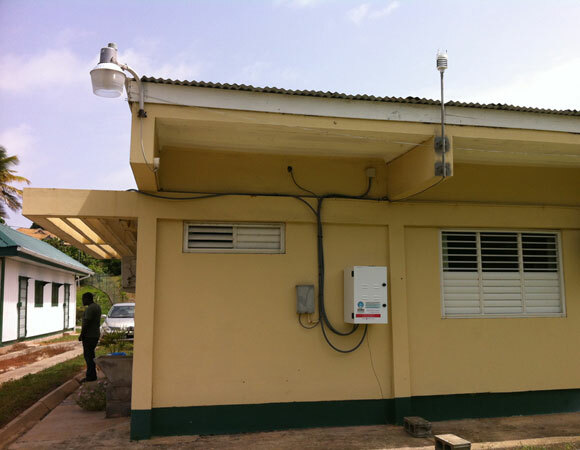 UNAVCO worked in collaboration with personnel at UWI, both in the seismic and surveys and lands departments, to complete the new GPS site in Toco, a small town situated along the remote north east coast of Trinidad. The geography surrounding Toco is densely vegetated, with few available outcrops, yielding sparse options for bedrock sites. 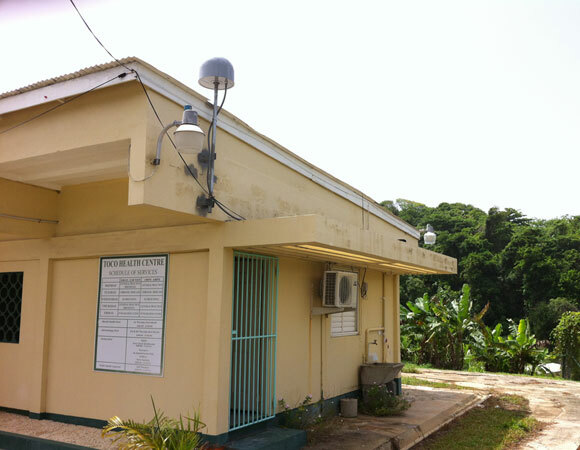 The station infrastructure was installed on the rooftop of the local public health center, one of the few reinforced concrete buildings available in the region. 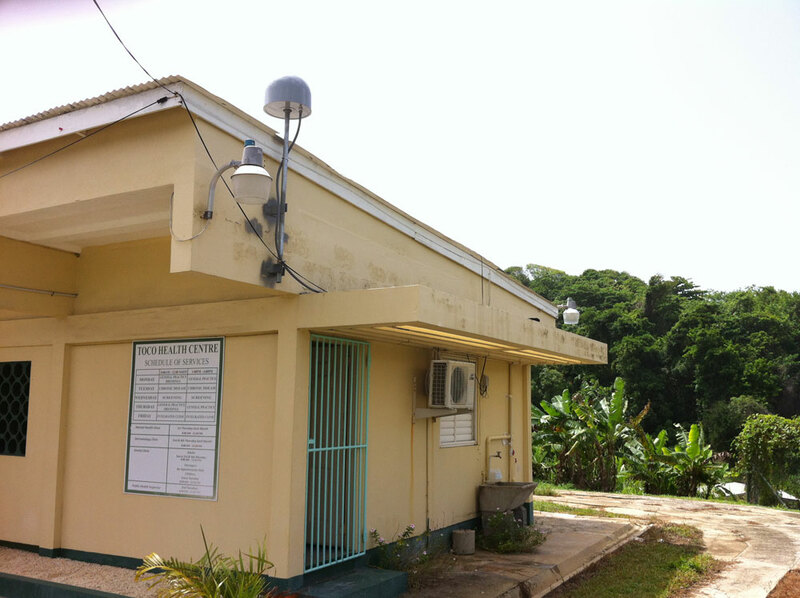 The data will be telemetered via a co-located UWI seismic station at the health center. Data from the Toco station will be part of COCONet’s large-scale geodetic and meteorologic Caribbean plate monitoring backbone. The project will provide raw GPS data, GPS-PWV, surface meteorology measurements, time series of daily positions, as well as a station velocity field to support a broad range of geoscience investigations. Previous monitoring of the Caribbean plate has been limited due to the fact that much of the plate’s extent lies under water.